In Sunny California, the weather stays warm in October, making it the perfect time for a visit to Disneyland. When Bobby and I got married, Disneyland was our first choice for a honeymoon destination. Besides taking advantage of the free perks for active duty military, Disneyland made quite the dream trip prior to children. 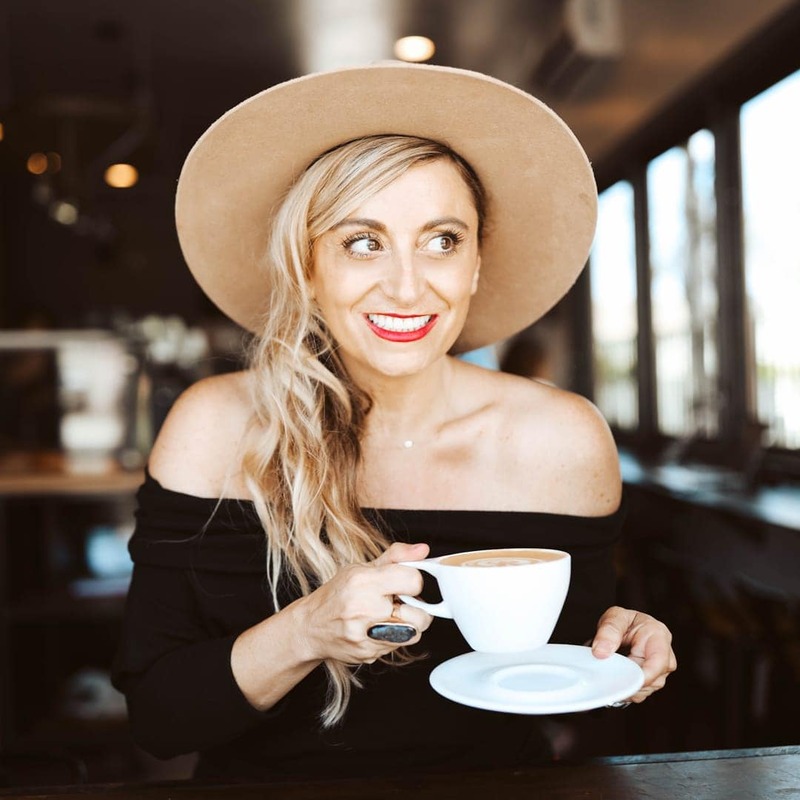 We had the time of our lives and loved it so much we actually started looking at Orange County Real Estate but decided against it in the end (maybe one day!). 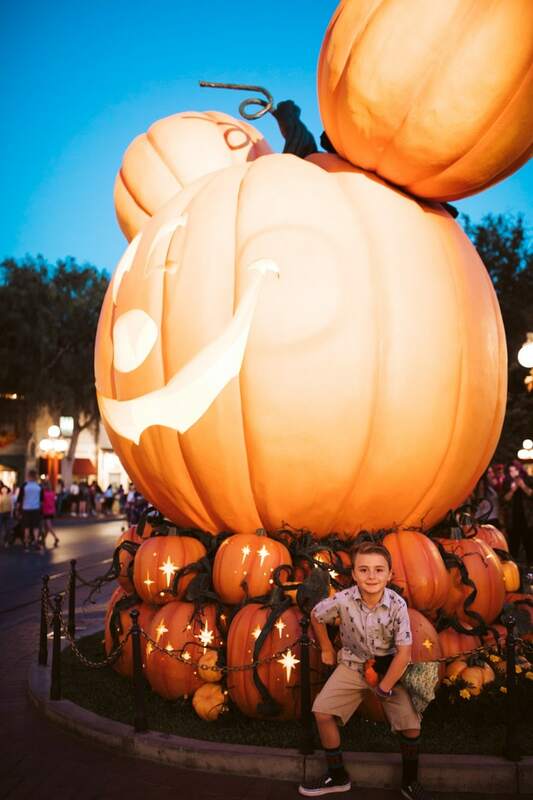 Fast forward to 4 kids later, nestled in the heart of a season that’s brewing with pumpkins and a spooktacular appeal like no other, Disneyland is still our favorite go-to spot as a family. I am no stranger to, “anytime is a great time for Disney” but let me explain why October is so ideal. It’s one of my favorite times of the year to visit, and it’s so much more than just the weather. October means less crowds, cooler weather, and less wait time. <>An emptier park makes for a more stress-free and fun trip, giving you the chance to experience more that Disney has to offer. On any trip to Disneyland, you can’t possibly do absolutely everything, but with fewer people getting in the way, you can certainly try! TIP: The closer you get to October 31st, the more packed it will be because guests want to see the Halloween decorations before they get taken down, so make your plans NOW! During this time of year, Disneyland is exploding with Halloween decorations. 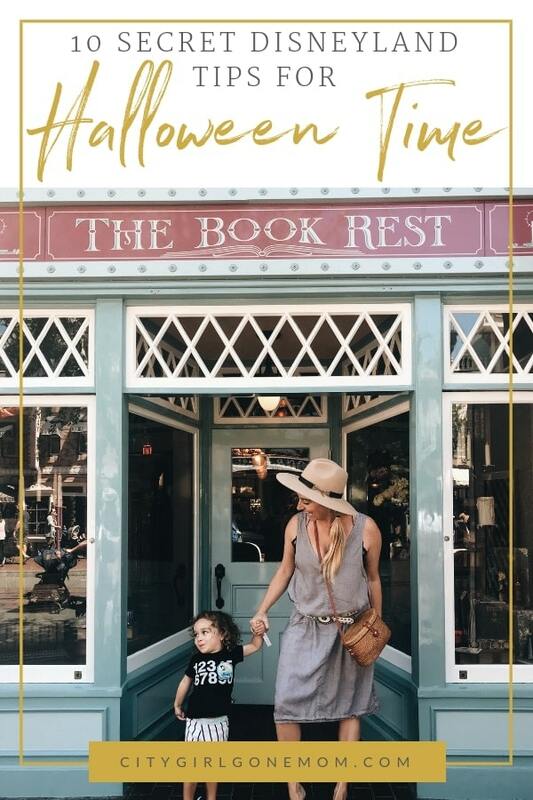 The parks are outfitted in pumpkins, cobwebs, and all things kids love to see during the festive month of October. You’ll see beautiful fall colors like orange, red, and yellow adorning everything. As you stroll down Main Street, you’ll be amazed by hundreds of carved pumpkins. Even the rides undergo a complete makeover with so many brand new scary details, you won’t know where to look. 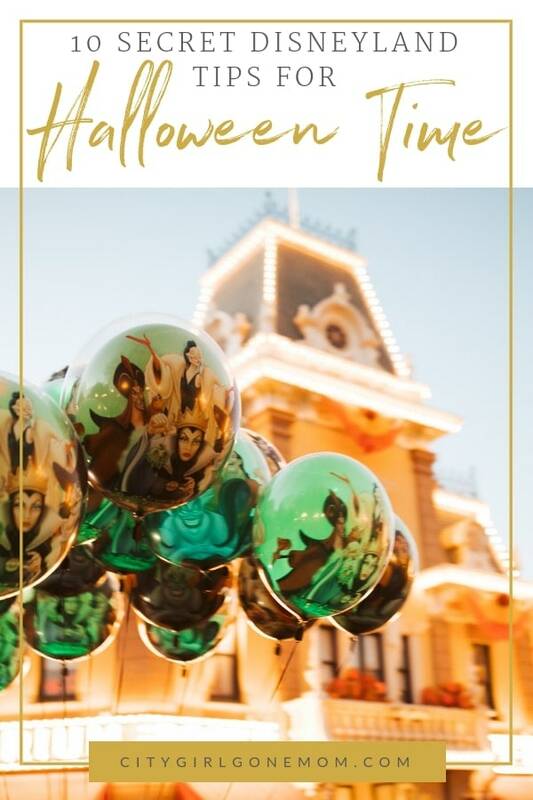 The environment completely transforms to make Disney even more magical, which provides a whole new experience to enjoy if you’ve never been during the Halloween season. You’ll feel as though you’re visiting Disney for the first time. Some of my kid’s favorite Halloween decorations to see are at Radiator Springs in Cars Land. It’s one of their favorite movies. Lightning McQueen and his friends are all dressed up in hilarious costumes! And for me it was the largest pumpkin I have ever seen perched right at the entrance of Main Street. 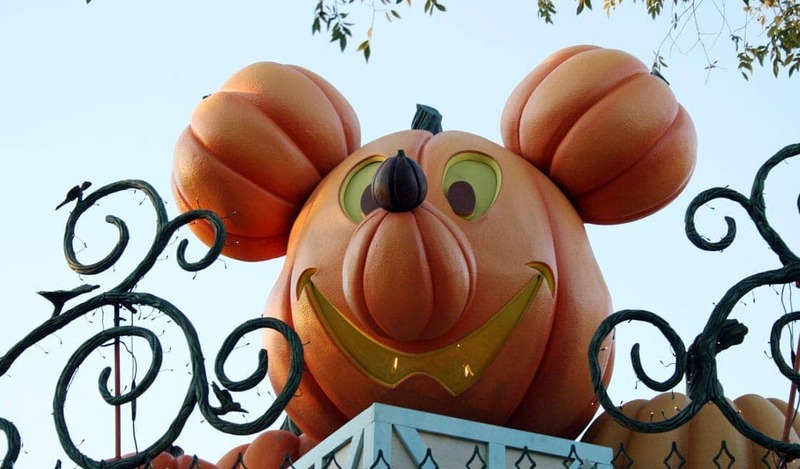 TIP: Play a game with your kids to see how many pumpkins they can spot around the parks and keep a tally! At the end of the day, surprise them with a spooky prize for finding so many. If there’s one thing Disney does big, it’s all the delicious sweet treats. Halloween is no different, and Disneyland now offers over 75 Halloween inspired foods! Your favorite fall flavors like pumpkin, apple, cinnamon, and maple will entice you all day in the parks. Trust me. In my opinion, all of the tastiest desserts for a sweet tooth are at Jolly Holiday Bakery Café on Main Street. The Mickey Mouse Mummy Macaron from there is a fan favorite- the filling on the inside is amazing! 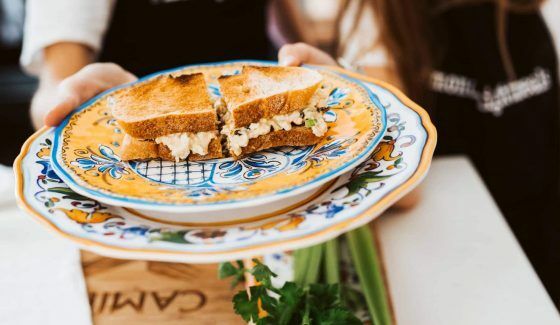 Check the map on your Disneyland app to find all these yummy spots to grab a bite! TIP: We all know that sometimes at Disneyland with kids, you need to unwind. I’m not judging! Try the delicious Poison Apple-Tini at the Carthay Circle Restaurant in California Adventure. It packs a sour punch. 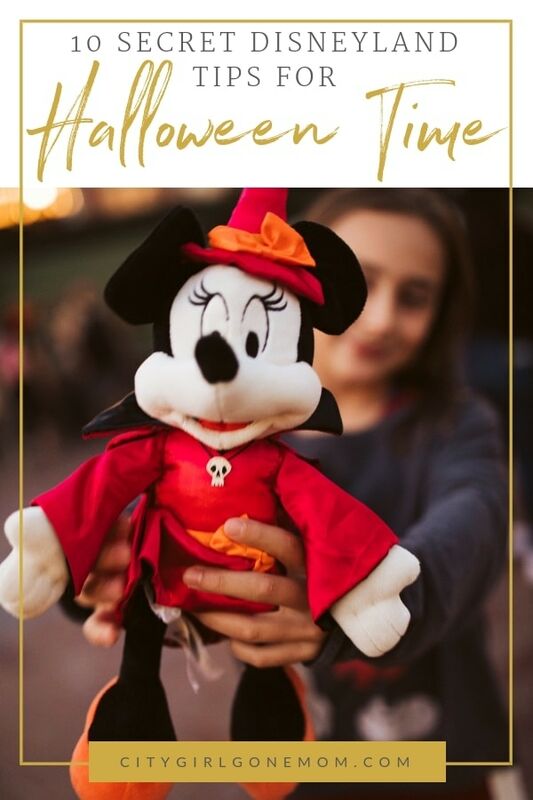 The special events and shows that take place during Halloween Time at Disneyland are the best way to fully interact and enrich your trip with lasting memories. In California Adventure, The Disney Junior Dance Party is a blast. Your kids get to bust some moves with characters like Timon, Doc McStuffins, Vampirina and Mickey Mouse! Sadly, baby Brody slept through this part of our trip, but my older three certainly enjoyed it. There’s also a 2.5 hour guided tour that explores the dark depths of Disneyland by conjuring ghost stories, tricks and treats. You’ll learn about the legends and myths of various park poltergeists, pranksters and other creepy characters. It’s $85 for each guest over 3 years old. 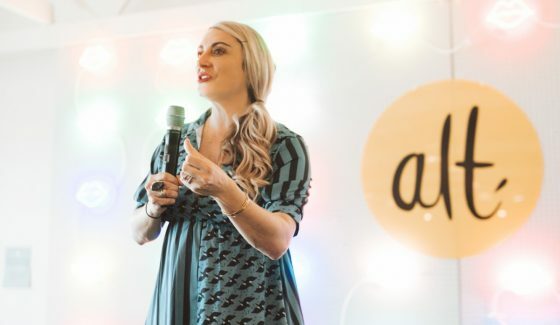 <>TIP: These more interactive events are a great way to burn off energy from all the sugar they’ll be eating throughout the day, instead of trying to stand still while waiting in lines with a serious sugar high! As you walk through the park, you might bump into one of your favorite characters cloaked in frightfully delightful Halloween-themed attire. Not to mention, Disney villains can be found throughout the parks as well. Cruella de Vil and the Evil Queen wander around Main Street, where as Pumpkin King Jack Skellington can often be found with Sally near the Haunted Mansion. (Which transforms into Tim Burton’s The Nightmare Before Christmas!) We loved Mickey of course, but Vampirina stole the show for my brood. TIP: If you’re looking forward to meeting a specific character, ask a cast member upon entering the park if they have any tips as to where they might be on the day you’re visiting. Using Disneyland’s app is also a really helpful way to locate them! Character dining experiences are one of the most magical parts of visiting Disneyland. We always try to make room for at least one on every trip. They’re truly a special and memorable part of our vacations, and something my kids fondly cherish and talk about frequently. Going to the Character Breakfast at Disney’s Grand Californian Hotel & Spa gives a chance for my kids to connect one-on-one with their favorite characters and princesses. Don’t get me wrong, seeing them around the parks and in parades is exciting, but there’s nothing like meeting them in an easy-going dining experience where there’s no rush. All the cast members and characters make sure every child feels like the only one in the room, and their eyes light up with excitement. 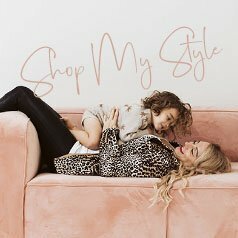 As a mom, these are the moments that make me want to freeze time. Because this is a Safari themed breakfast, the characters are sadly not dressed up for Halloween, but I still think it’s a must-see for any trip to Disneyland. TIP: Make a reservation in advance, the Storytellers Cafe fills up really quickly since it’s the most popular resort at Disneyland! And sure to stop in the pool to cool off! 7. The Shops Are Filled With Halloween Merchandise! During the Halloween season, all the shops are filled with seasonal items to help you celebrate in style. There are a ton of shirts, sweatshirts, scarves, socks, and all sorts of apparel items covered in Halloween designs. You can also find kitchenware, plushies, packaged candies, spooky toys, and so much more. One of the best parts of visiting Disney is wearing the fun Mickey and Minnie ears. You can get special limited edition ones during the Fall season to remember your trip forever. My kids love picking out their ear headbands and hats, and often trade-off with each other throughout the vacation. TIP: Buy your ears, hats, and accessories ahead of time online before your trip, so as soon as you check into your hotel you’re teleported into the Halloween spirit. Festive ears that match the decor, fun glow jewelry, and souvenirs will immediately set the tone for your October adventure at Disneyland. I was so excited when I learned about this spacious, staffed facility thats ideal for nursing, feeding and changing diapers. The art displayed throughout the center makes all the children feel like they are still part of the magic. They also have family-friendly restrooms which is a great alternative to the public restrooms. TIP: If you ever lose your child you can be certain they will be looked after at the Baby Care Center until they are reunited with their family. Great news is Disneyland has never lost a child. Due to Mickey’s Halloween Party which runs from September 23rd through October 31st, the park sometimes closes early for the event. The event nights include Monday, Wednesday, and Friday. Be sure to check the event calendar to avoid early park closures, when the park closes at 6pm. TIP: Why avoid it when you can join it? 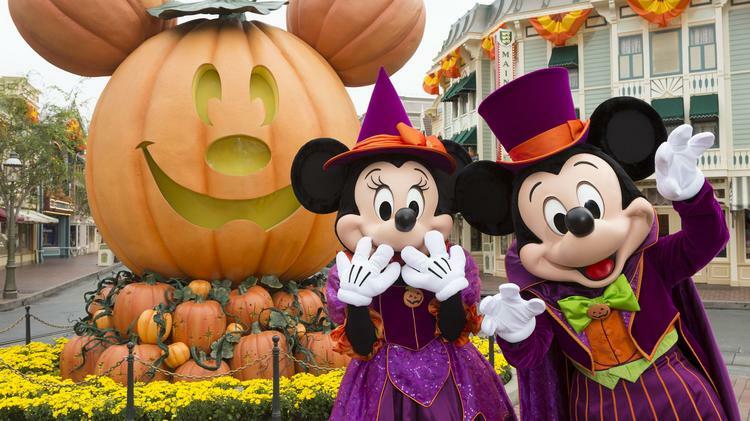 Mickey’s Halloween Party is the most bewitching celebration of the year at Disneyland. It includes fun parades, events, and trick-or-treating. Adult guests even get to dress up! Prices range from $95-130 depending on dates, times, and whether or not you’re a passholder. For more info visit here. 10. 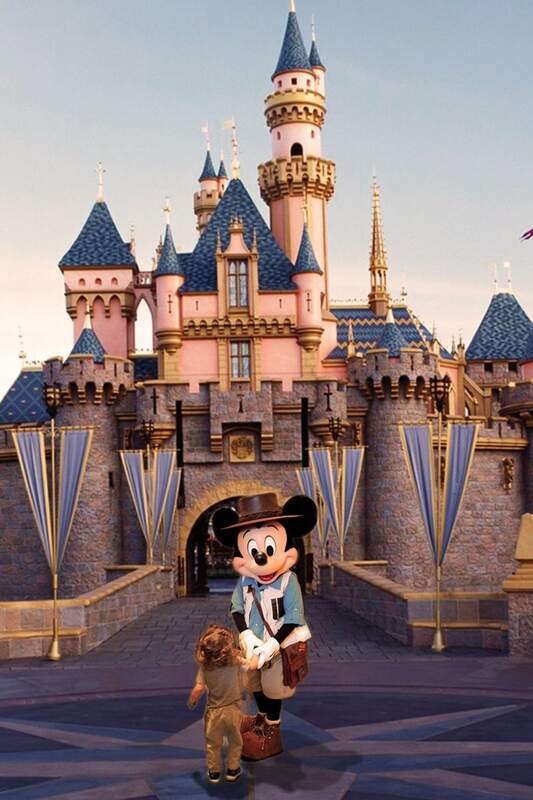 Disneyland is by far one of my favorite places to visit, so why not make lifelong memories for your family too. Overall, visiting Disneyland in October has many perks and benefits that will be sure to make your trip an unforgettable one! I always try to find ways to share special moments with my children, and give them experiences that they will remember for a lifetime. Baby Brody’s 3rd birthday was certainly a hit and if you want to read about a Disneyland Birthday you can click here and here. The magic at Disney can’t be replicated anywhere else, and it’s what keeps us coming back year after year. With so much magic in the air at Disneyland, it’s no wonder that October is amongst the top occasions celebrated with Mickey and friends. Omg I wanna go!! So cute you and Bob went there for honeymoon? I am DYING to go to Disneyland during Halloween time. It’s one of my biggest goals of the next few years. I went to Disney once as a 4 year old, and I barely remember it… I want to take my kids a few times over the next ten years. That looks like so much fun! I’ve never even been to Disneyland before. I know if I went, I’d want to go around Halloween. I have yet to visit Disneyland. I have to change that and with these tips, I’ll be doing good during Halloween time. Thanks for the tips! I have always wanted to visit Disney during the holidays. It never occured to me to try it at Halloween! Not even thinking of the kids, I would have a blast!! Halloween at Disneyland is for sure a magic moment. We need to try to celebrace once there. I am sure my kid will love it! Great tips! Sounds like one of the best time to visit Disneyland! 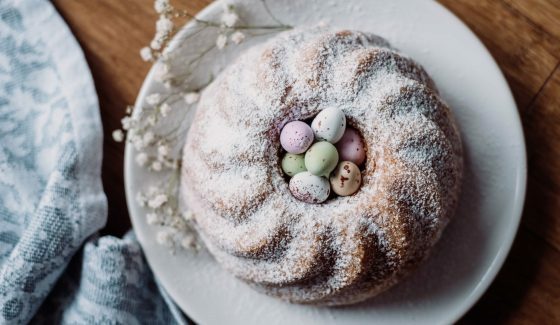 I’d love to see the decorations and eat every food! I’ve been wanting to visit Disneyland since I was a little girl. I’d hope to go one day. Hopefully soon!